Vinyl has become trendy again, and as such, I’ve been asked to add some new filters in Audio ToolKit. Here is a small dive in RIAA land. If you compare this with Wikipedia’s curve, you will see that it doesn’t match mine. 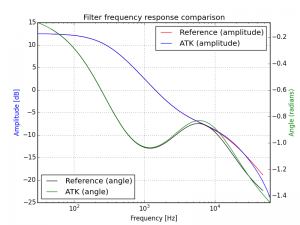 The gain for lower frequencies is not correct, and at 1kHz, the gain is not 0dB. And if you try to make 0dB at 1kHz, you have even a lower gain! Why? Good question. These are the constant given by the association and the gain that should used. RIAA is not simple. It’s not even consistent! 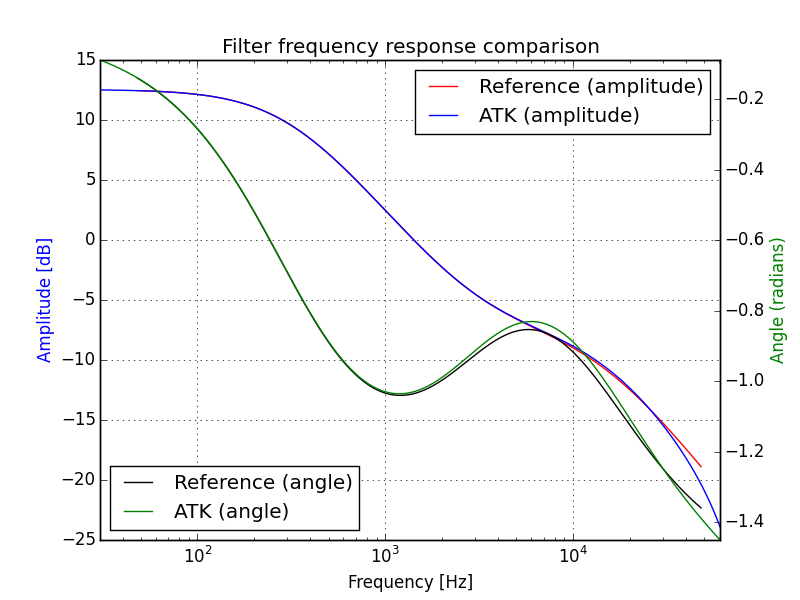 But at least it given a good first curve for vinyl correction that can be enhanced by adding additional EQ filters.